APDI radiators are warranted to be free from defects in material and workmanship. 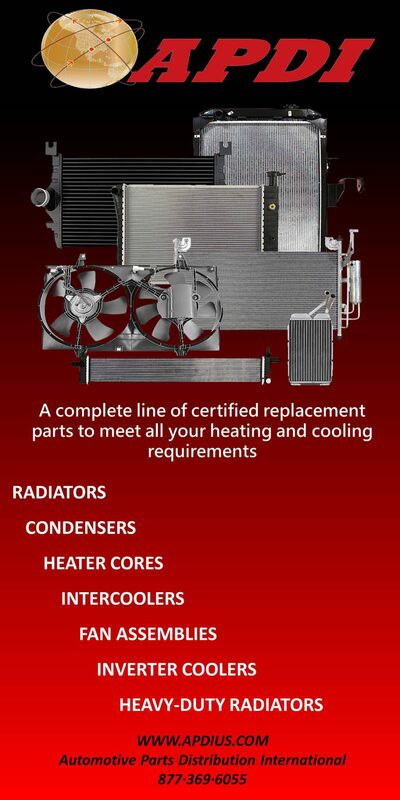 Radiator failures or damages not related to defects in material or workmanship are excluded. Cross-threading any fitting that results in damage to the threads; this includes oil coolers, drain plugs, and temperature sensors present on the radiator. Any repairs done to the radiator in any way will void the warranty. Use of a coolant or mixing different types of coolant not in accordance with the vehicle’s manufacturers recommendation. Damage caused by the improper use of chemicals or additives that may have been added to the cooling system. Original Equipment or Non-APDI product returned for credit will not be accepted. Malfunctioning engines and or pressure caps can cause above normal operating pressures in the cooling system. Damages caused by elements used in the radiator such as water, steam, and liquids. Such as steam erosion.